"I tried everything," Pitino said of attempting to avoid running up the score in Louisville's 87-26 win over Savannah State. "We played four white guys and an Egyptian." He did! A lineup consisting of three walk-ons, a Norwegian 7-foot freshman, and an Egyptian 7-foot freshman couldn't reverse the carnage. For a while—and this is not much of exaggeration—you wondered if Savannah State would ever score. The Tigers were shut out for the first 15:58 of the game, falling behind 29-0 before earning an iffy shooting foul and hitting a single, sad free throw. It was 41-7 at the half, and Savannah State coach Horace Broadnax couldn't get angry. "As a coach, I could have been in the locker room, kicking and threatening and all that crap," he said. "And then I lose the kids." It was just one of those games. A massive gap in talent, compounded by shots falling for the team that didn't need the luck, and nothing going right for the team that could have used a few breaks. 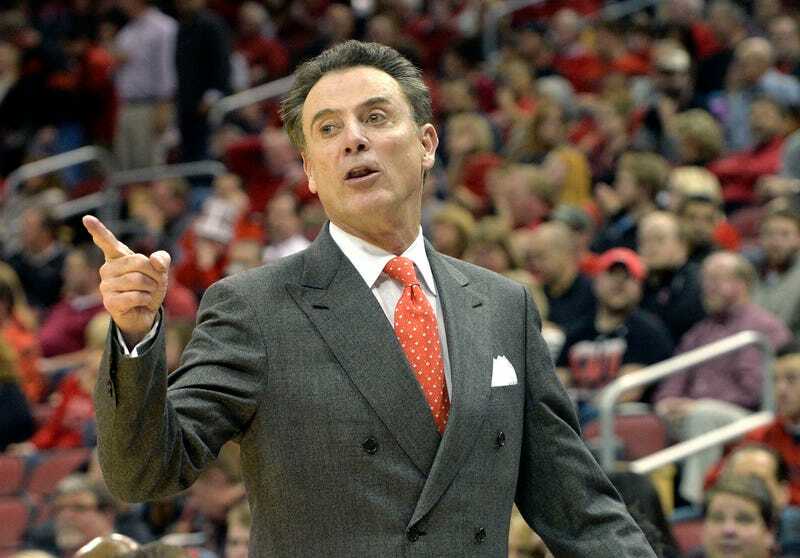 "I don't like to see any team struggle like that," Pitino said. "I really don't." "This will be the first time since I've been at Louisville that I will not watch the game film," Pitino said. "You get nothing out of this. You feel bad for the other team." "I've got a beautiful wife with two kids that I can't wait to get back to," he said. "I'm gonna take a nice shower, drink me a cold beer, and move on."